Do you spend a lot of time searching for new websites or resources to learn English online? A few weeks ago, I started searching for some of the coolest apps, websites, podcasts, and video series that English learners and ESL teachers should know about to make learning fun, interactive and effective. Some of these websites completely blew my mind! I had no idea they existed and I am really excited to share them with you. Email me a copy of this list & a bonus lesson! To make sure you find the best websites for your learning style and interests, I’ve created this list of quick links to help you find exactly what you are looking for quickly. Make learning fun to stay motivated and look forward to your study sessions! These websites use music, videos and television style series to teach you vocabulary, grammar, how to improve your listening skills and even your pronunciation in an interactive way. Keep learning fun and interactive with the videos on the iSLCollective website. Students can find different videos with English learning activities that have been created by other teachers. The website has 1000’s of videos for language learners of every level to improve your listening, vocabulary, grammar and speaking skills. Visit the iSL Collective website, select your level and start learning. For Teachers: This is a seriously amazing tool if you haven’t checked it out! Use the iSLCollective video quiz maker (a free web-based tool) that allows teachers to create your own interactive video quizzes around YouTube and Vimeo videos. The interactivity and gamification adds playfulness with various play modes (e.g. the classic Casino game where you bet on the right answer) and features like the tapping game where students tap on objects seen in the paused video screen. Create your own account and learn how to create your own video quizzes less than 5 minutes! Register your free account and get started! Send Me this List of Awesome Websites! If you enjoy music, you are going LOVE LyricsTraining! There are thousands of available songs of different genres that will help you to improve your listening skills and also practice speaking by singing along to your favorite songs. Great for those studying independently and also a fantastic resource for teachers to have fun learning in the classroom. LyricsTraining has really made the lessons feel like you are playing a game by allowing you to earn points, compete with others. Visit their website here or download their new app! Students and teachers love using videos to learn English and Chasing Time English has created an excellent resource that you are going to love. The first season called Fortune and it is now available to view for free. This high-quality, modern, detective drama series will hook you in and make learning a lot of fun with the interactive activities and learning materials to support both independent learners and classroom teachers. Check out the first episode of the drama series fortune now. 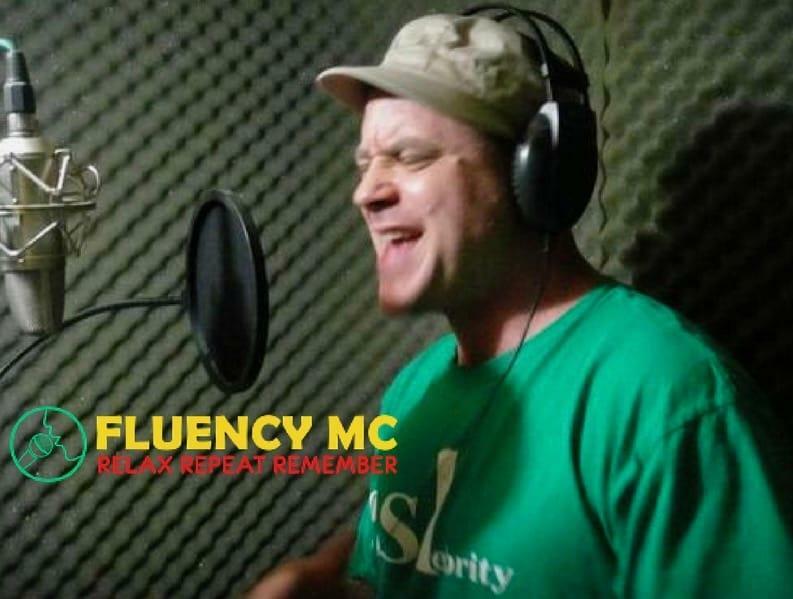 Practice speaking and have fun with songs and videos with Fluency MC. Learn English grammar, pronunciation, and vocabulary that’s easier to use and remember in fun lessons that help you to speak with more confidence and fluency in every situation. Try a Weekly English Workout Lesson with Fluency MC. Now you can search for a specific word or phrase and hear it being used in context in a YouTube video! Youglish is able to search the subtitles for more than 20 million videos to find the exact moment in the video where that exact word or phrase is used in dozens of different videos. YouGlish gives you fast, unbiased answers about how English is spoken by real people and in context. Try searching for a word now from the YouGlish homepage. Learn with podcasts, excellent online courses, and lessons, advice to reach fluency and improve your listening skills These websites with lessons that can be used by students who are studying independently and also teachers that are looking for new materials to use with their students. To Fluency focuses on helping learners improve their speaking from anywhere in the world using our simple yet effective self-study method. However, just knowing how to use this method isn’t enough. That is why we wrote the 5 Step Plan for English Fluency. This book, which is free to download, gives you a strategy that you can implement straight away ensuring that you consistently make fast progress with your English. At All Ears English, we believe in Connection NOT Perfection. Showing you how to break out of the “perfection” mentality and finally have fun learning English. Check out an episode and find out why 20,000+ daily listeners love the All Ears English Podcast here. Preparing for an IELTS exam? All Ears English also has the IELTS Energy podcast and a special section of their website dedicated to showing you the smartest and easiest way to achieve a 7+ or higher score on the IELTS Exam. Jessica Beck is the top expert in the IELTS world with more than 12 years of experience as an IELTS professional. Join our Free Insider Masterclass and learn how to avoid all common IELTS failures. Helping students to learn how to speak more fluently and understand what they hear using efficient learning methods. Learn how to study real conversations to quickly learn the most important vocabulary to understand native speakers and to sound more natural when you speak in this free 8 Lesson Mini-Course with Videos. Helping English learners from all over the world to become confident, natural speakers with lessons you can study independently online. Go Natural English focuses on helping you to learn to speak confidently and fluently in a way that sounds natural like a native speaker. Get the best free video lessons directly in your email inbox by signing up here. Don’t Just Learn English, Live It! Cara Leopold has been helping bookworms and vocab nerds break free from subtitles. If you’re stuck reading the subtitles in this golden age for TV, then you are missing out on the action. Leo Listening will help you get subtitle-free so you can stop “reading” your favorite shows. Learn the 15-minute system to understand what you hear without needing subtitles in this free video lesson. Learn English with fun, interesting and culturally relevant lessons that are easy to listen to and fun to learn from. English Class 101 has podcast audio lessons, word lists, speaking practice activities and flashcard tools to learn new vocabulary fast. Create your free account and get access to new lessons every week. An important part of improving your English skills is to be able to communicate with a real person in English. Whether you are just trying to improve your conversational skills or you are looking for very specific advice to fine-tune your English communication for professional reasons, the right teacher for you is waiting to be discovered in the list below. For those of you who already speak English relatively well, but are looking for an approach to refine and polish your skills. Eloquent Language can help you speak in in a more persuasive and confident manner while bringing awareness to some of the nuances of the English language as well as enhance your non-verbal communication such as body language and tone when making presentations. Learn more about how Eloquent Language can help you deliver your message effectively and correctly. New courses in Legal English, Cambridge and IELTS Preparation are also available with dedicated experienced teachers. Helping students to speak English clearly, confidently, accurately, and naturally. Although grammar is also taught, the primary focus is on teaching American English pronunciation and helping students to improve their spoken language skills. Get access to your Free Towajo Community Membership that includes access to several weekly classes, view members’ only content and have an opportunity to ask your pronunciation questions to Miracle L. Smith (aka the Pronunciation Doctor). An excellent resource for students to practice speaking when it is convenient for them while getting the feedback and corrections they need to make faster progress. Speech Revision can help you improve more than just grammar and vocabulary; improve pronunciation, structures and, even exam techniques. Find speaking practice activities for all levels about many different topics on the Speech Revision website. Imagine staying in a little “English village”, speaking English with locals from Poland, Hungary, Czech Republic and Romania during a fun-packed language camp that will help them overcome their language barriers. If you enjoy meeting new people, learning about their lives and sharing some of your own stories and adventures whilst simultaneously breaking language barriers – that is what Angloville is all about! Learn more about Angloville and their upcoming events that you can join. Learn with friendly native English teachers from the UK that are helping learners gain confidence in using the English they know, as well as showing them how to take control of their own learning. The most important aspect of becoming a fluent English speaker is to believe in your own abilities and it all starts with having the right attitude! Join Our FREE 7 Day Video Course that teaches you exactly what you need to do to become a confident and fluent English speaker with valuable tips and exercises. For those who are ready to take action and make their biggest dreams turn into reality to live or travel abroad (helping students and teachers). Not only will Taiwanda help you gain confidence with your English communication, she will support you, inspire you and give you the motivation you need to make big changes. Taiwanda offers a free consultation lesson to have the opportunity to discuss your goals and to learn how she can help you achieve them. Daria Storozhilova has been helping her students find their path to success in English without too much time or money spent. Her experience teaching English for more than 15 years has helped her develop online learning materials that give you a vision of how to learn English most effectively. Check out this awesome article about Irregular English Verbs the Clever Way to learn more about her teaching style and how she can help you with her courses and lessons. 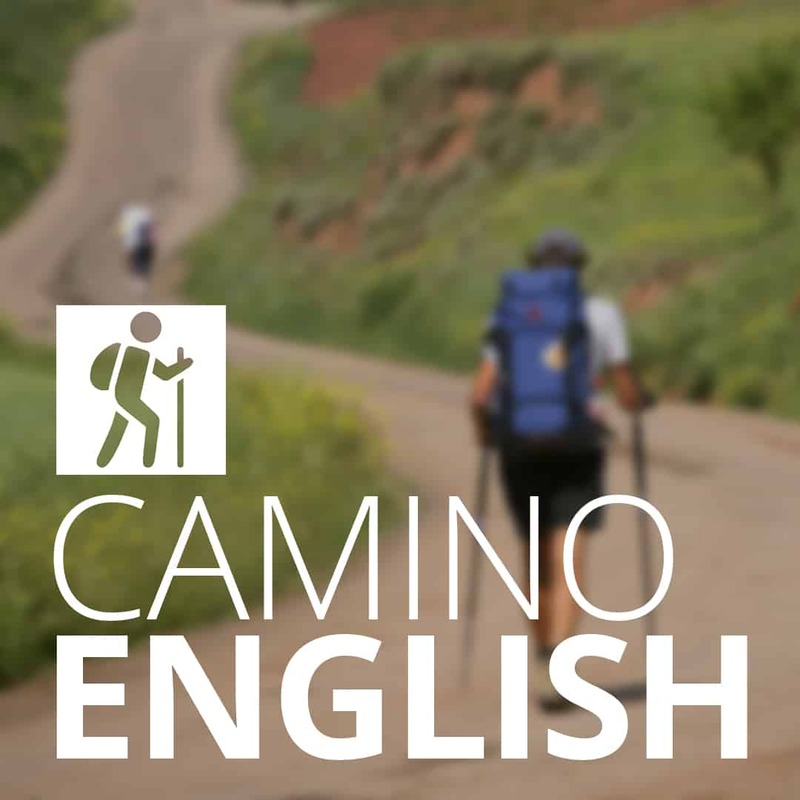 Camino English offers a variety free videos, blogs, and podcasts for anyone interested in studying online for all levels. They also offer classes via Skype or telephone and have a membership program to get access to more lessons. If you are traveling in Madrid, Spain you may want to join one of their in-person intensive experiences. Try a free lesson that is perfect for your level on this page of the Camino English website. Jack Askew from To Fluency (ToFluency.com) has put together a website to share his experience and top tips. Advice that is helping teachers find their own private students to start teaching online and finally take control over their teaching and income. Join this free Video Training Mini-Course that gives you an overview of how other teachers are doing this and how you can do it too! Bringing together teachers and learners in a little “English village” during a fun-packed language camp. Offering a unique experience of teaching abroad in beautiful countryside venues (free accommodation & full board) and partly sponsored AngloTEFL scholarships to enrich your résumé. Learn more about Angloville and their TEFL training and scholarship opportunities. A helpful website for anyone seeking a job teaching English online. It provides a list of jobs for native teachers and one for non-native teachers as well. Beyond that, you will find articles and resources focused on how to improve your chances of getting a better, high paying job. 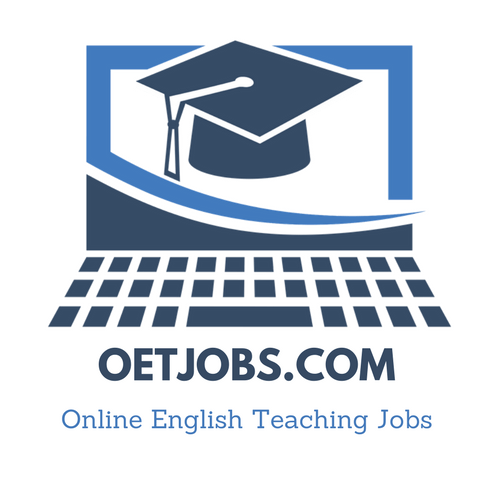 Check out the latest ESL Teacher Job Listings on OETJobs.com! Casey’s ESL Garden is a new website which provides inspiration to become an extraordinary ESL teacher. There are free ESL lessons, complete with lesson plans that guide you to deliver a great class. There are articles, a forum, and teaching tips. The garden is growing and you should be part of it! Try some of our ESL Worksheet Lessons here that include teacher notes that are especially helpful to newer teachers. Try some of the ESL Worksheet Lesson Notes that will deliver your lesson in a logically-staged and communicative way – especially useful for newer teachers! 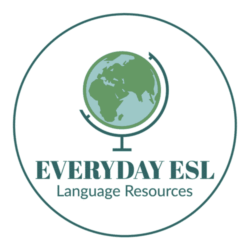 Everyday ESL is a resource of easy-to-use, adult-appropriate, and culturally-inclusive ideas for your adult ESL classroom. A variety of topics are available on the website including lesson planning; teacher education; reading, writing, speaking, and listening activities; and much more. Download the 7 Emergency Activities Cheat Sheet to keep your class going even if you have a teaching emergency! Whether you are an ESL teacher or student, it is easy to get access to a plethora of top-drawer English language resources on eslmojo.com. A* writing response, ESL guides, awesome PowerPoint presentations and new cool resources are created weekly. The material (free and premium available) are prepared by a team of experienced, insightful teachers to ensure exam success for you and your students. Check out this A* letter writing activity which was created by an ESL student who achieved First Place in the World in Cambridge. Did we miss one of your favorite websites? 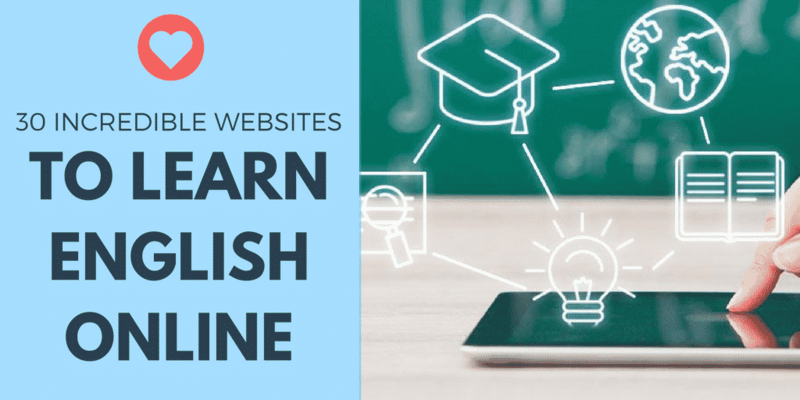 Leave us a comment below to tell us about a website you love so that others can find the best websites to learn English from resources on the internet! Thanks from the team at Chasing Time English for including us on the list! We are excited to be part of such a wonderful list for learning and teaching opportunities. You are very welcome Scott! Chasing time is an excellent resource. The English learning (and teaching world) is looking forward to more of your work. Hi Roy! Great to see that you found our site. There are many excellent websites that teach English 🙂 Just pick one and see what you can learn from them! Thank you for this great list of useful resources. I discovered some good websites thanks to it 🙂 I would also like to recommend DIY handouts (www.diyhandouts.com) as a tool for English teachers. It allows you to create personalized grammar exercises for students. It’s free of charge so check it out if you are interested. Thanks again!